I was about to turn 23, just graduating from college and thus far things hadn’t been going so well. I had overcome a childhood addiction to prescription amphetamines, and I was questioning everything. I felt kind of pathetic. Just some Attention Deficit Disorder kid who couldn’t seem to get her act together. I certainly wasn’t standing in front of parades. Many kids, when they graduate from college, have the exciting plans: impressive internships, international volunteering opportunities, great jobs and world travel. I just felt lost. I had no plans, and frankly I was worried about whether I was capable of very much. When I stretched out on my aunt´s guest bed, I cracked it open, and had never heard a voice that was so kind and encouraging. The writer’s workshops I’d been involved in seemed so harsh by comparison. Their technique was gutting writers to see what they can stick it out. Before Julia Cameron, it hadn’t occurred to me that creativity could be nurtured rather than hard fought. This was a revolutionary idea at the time. After reading the book, I bought my first journal. It wasn’t standing up against war, but it was doing something to move me forward. Looking back on that difficult weekend, I can’t believe how much that small act (unforgettable to me now) changed my life. In the year that followed I signed up for a full-time volunteer program, run by The Sisters of St. Joseph in Minneapolis. After that, I ended up working for them at the United Nations, and later in India. Today, I´m amazed at how a single weekend brought me closer to the work I was meant to do in this world. 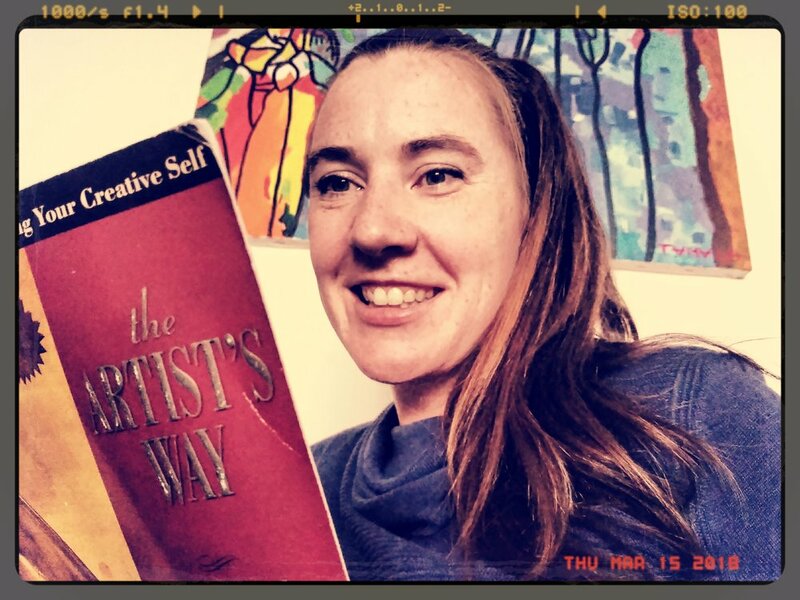 I had no idea that 16 years later I would be living abroad, contributing to the world, and running a business based on the same beliefs that Julia Cameron pioneered in that book. Picking up a pen may not seem that brave, but sometimes it takes all the courage in the world. Especially when it means saying “yes” to a deeper calling that’s longing to be expressed. I’ll never forget how much courage it took to get started, and then to return to it again, and again, and again. Any book, business or social movement is simply a series of small brave acts.